Eva Kipnis is a Senior Lecturer in Marketing at Coventry Business School, Coventry University, UK. Her research interests lie in the fields of multicultural marketplaces and transformative business research, with specific focus on: 1) multicultural people – their identity projects and consumption; 2) multicultural branding – approaches and implications; 3) organizations in multicultural marketplaces; and 4) brands in illicit market contexts. 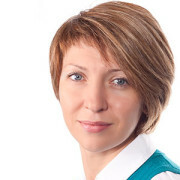 In her previous life Eva worked in Kazakhstan as a marketing manager and consultant advising companies such as Mittal Steel (now Arcelor Mittal), Mobil Oil and a range of retail brands on marketing strategies in Kazakhstan.